You may have seen them floating around. Often they’re bright yellow and look like the machine that monitors a parking garage. Others might resemble an oddly out-of-date cash machine, sort of as if one merged Bank of America with a 1992 Hewlett Packard. They’re Bitcoin ATM machines. At these one-stop shops, you can buy (and sometimes sell) the world’s most popular cryptocurrency in between running late for work and grabbing a coffee. The question is, should you? They are growing fast. There are more than 3,500 machines operating in a field estimated to be worth over $145 million within the next few years. Most are in the United States, although the Bitcoin ATM has also become popular in markets such as the U.K. and Russia. The cryptocurrency community will probably see a lot of these machines in the near future, so there’s nothing wrong with getting used to this technology now. After all, we’ve all seen what can happen to early adopters in this space. Most purchasers come to cryptocurrency as an investment (although crypto, especially Bitcoin, has gotten increasingly spendable lately). This is a fine thing. The cryptocurrency marketplace has trended upward overall since it entered the public consciousness roughly two years ago. Investors have begun to see tokens as a safe place to put their money and everyone will benefit. 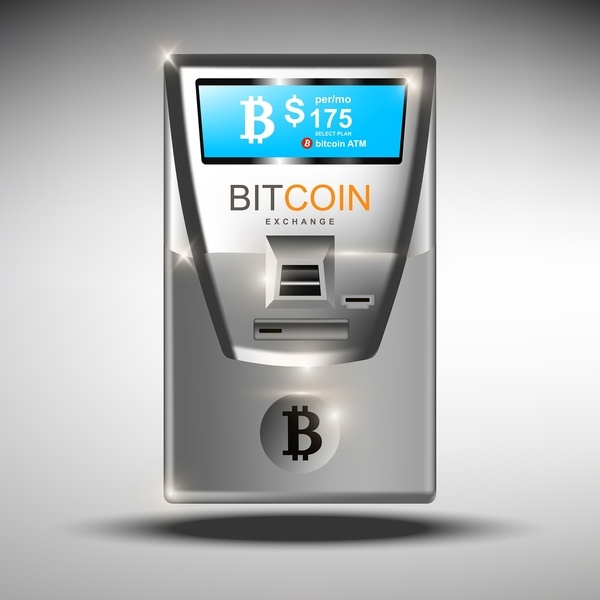 However, the very convenience of the Bitcoin ATM undermines that model. For the average consumer, investments should be a long-term vehicle designed to accrue wealth over time. You should be thinking not about catching the next Lambo to the moon but about how your bitcoins will do in five, 10 or even 20 years. A device designed to make buying and selling a casual event can disrupt that approach. It’s actually fairly tough to buy and sell Bitcoins completely anonymously. When you do it online, you inevitably associate your bank information (and likely your e-mail address) with that purchased token. An offline purchase, by meeting someone in person and buying tokens out of cold storage, carries its own risks. A Bitcoin ATM is generally a good marriage of security and anonymity. Some will automatically generate an account while a few will even create and print out a paper wallet for the transaction. By also using a machine that takes cash, you have a way of buying your cryptocurrency anonymously. The wisdom and necessity of doing so is another matter entirely. We can think of only one legitimate situation where you would need that kind of off-book spending power, and only one where you should carry that much cash around the city just to make a purchase. And Jason Bourne’s job is already taken. At the top, we noted that there are by now more than 3,500 Bitcoin ATM machines around the world. That really is an incredible amount considering that Robocoin launched the first one less than five years ago. However, it’s still not all that many. If you live in a major city, you can probably find a Bitcoin ATM reasonably close. For everyone else, using one of these machines likely involves a several hours' drive at the minimum. Either way, it’s a hike. Even if you live in the city with a Bitcoin ATM down the block, this is still a longer trip than simply firing up your exchange of choice. Unless you happen to be passing by the ATM and are struck by a sudden need to buy and sell cryptocurrency on the spot, there’s almost certainly a better option. Bitcoin ATM’s can get incredibly expensive. According to reporting by CBS, the industry averages an 8.93 percent per-transaction fee for buying and selling tokens. With an asset as expensive as Bitcoin, nearly 9 percent in fees can become a truly enormous amount of money. This is also almost twice as much as the competing online exchanges (such as XCoins) charge. The question really is, what are you getting for that money? Meanwhile, if you'd like to see what you could really get for your money, signing up for XCoins is free!